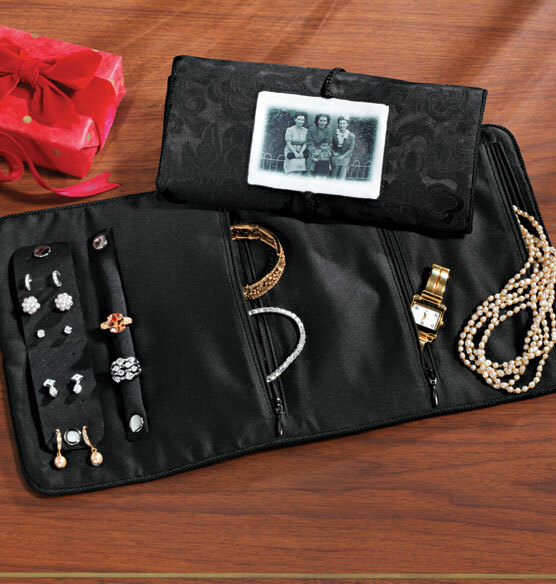 Tuck your favorite pieces of jewelry inside this chic black personalized Photo Jewelry Organizer. 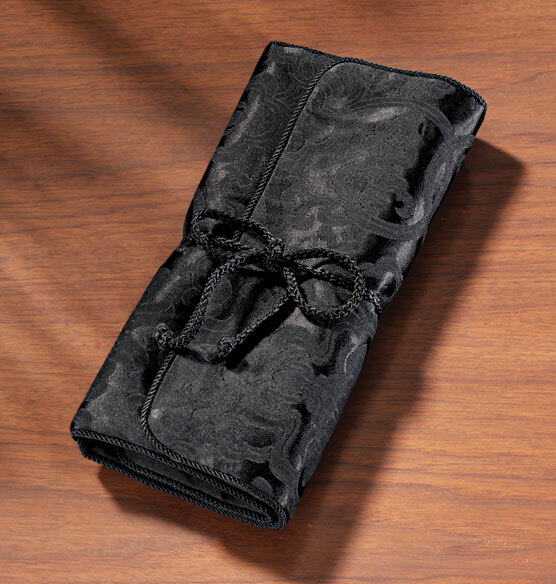 Designed for on-the-go use, this travel jewelry organizer includes a ring holder and zippered pockets for stashing bracelets and necklaces. Earrings easily secure to the earring holder, and a sturdy cord closure makes it a great travel gift for her. Choose a photo memory for personalization. I bought two to give as Christmas gifts. I think it'll be great to keep jewelry organized while traveling. Personalized, reasonably priced and difficult to find. Looks like a lovely keepsake. Beginning to give my jewelry, a piece at a time, to my granddaughters in this lovely roll. Can easily be tucked away. For myself so that I could remember my daughter and my trip to NYC every time I travel.